Google Analytics service was quite erratic when it was launched, but it soon stabilised and gave me some insights that I would like to share. 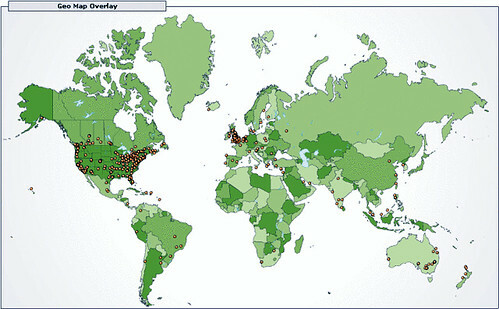 The above figure shows the geographic spread of visitors to my blog. Most of the traffic has been from the US and the Europe. This is a more detailed distribution for the above graph. Another interesting thing is that, most of my visitors were using FireFox. And the following figure shows that they had a pretty updated version of FireFox. 66% of them used the latest stable version and around 9% of them are using the 1.5 RC.